Follow My Vote is making history by becoming the first company to develop blockchain voting software and integrate it with the BitShares blockchain! Back in August of 2016, we announced that we had completed the initial alpha version of our stake-weighted voting software. Now, we’re letting the world know that we’ve successfully integrated our stake-weighted voting software with the BitShares blockchain. Our stake-weighted voting software serves as the foundation for the development of our more advanced and anonymous 1-person 1-vote blockchain voting system. We decided to target the BitShares blockchain as the first public blockchain to integrate our blockchain voting software with because the BitShares blockchain runs on a high performance blockchain protocol known as the Graphene Blockchain Framework. 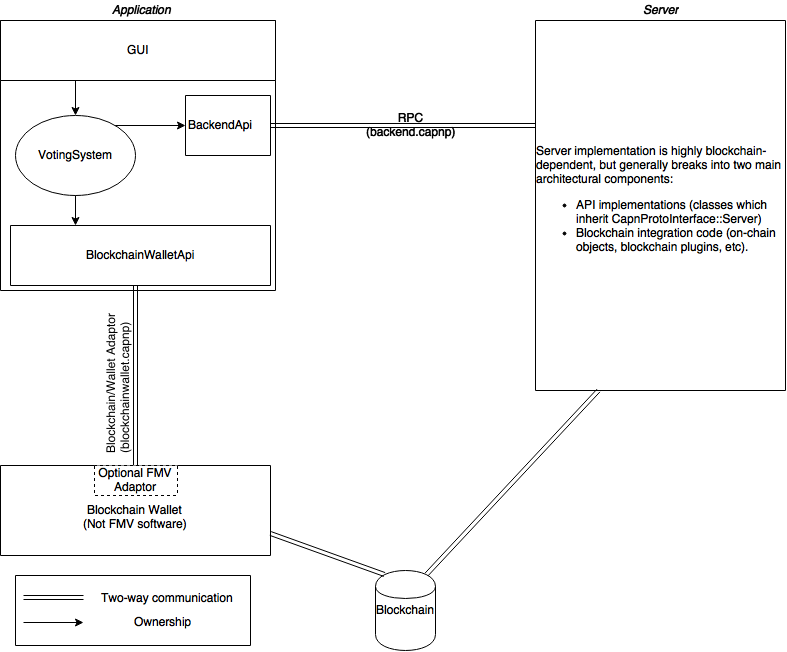 We are also very familiar with BitShares’ blockchain protocol, as Follow My Vote’s CTO, Nathan Hourt, along with the Founder of BitShares, Daniel Larimer, were the chief architects of the Graphene Blockchain Framework. It goes without saying that our familiarity with this blockchain protocol was all the more reason to start with the BitShares blockchain. Now that we’ve successfully integrated our stake-weighted voting software with the BitShares blockchain, we thought it would be best to create a tutorial on how you can get our software up and running on your device. Anyone that wishes to run our blockchain voting software to conduct a stake-weighted poll on the BitShares blockchain can visit our open-source code repository on github.com and compile the software themselves, regardless of the device and operating system you are using. For those out there that don’t have the technical skills to do this on their own, don’t worry. Help is on the way! In the days ahead, we will be developing binary files specific to all major operating systems, to include Linux, Mac, Windows, IOS, and Android. Currently, we only support both Mac and Linux based computing systems. For those of you that have a Linux operating system installed on your computer, you can install our blockchain voting software by installing Follow My Vote’s Stake Weighted Voting snap package. What is a snap package, you ask? Snap packages, or ‘Snaps’, made their debut in Ubuntu 16.04 LTS. A Snap is a fancy zip file containing an application together with its dependencies, and a description of how it should safely be run on your system. Snaps can run on other Linux distributions, including Arch, Fedora, Linux Mint, CentOS and Gentoo. As such, Snaps are quickly becoming the de-facto Linux app package format. Once you’ve installed Follow My Vote’s Stake Weighted Voting snap package, you should be able to find the application on your computer by searching for “Stake Weighted Voting”. Once you’ve downloaded the Mac binary file, you’ll need to open the application using the DiskImageMounter. From there, you should see voting application listed as a device named “VotingApp by Follow My Vote” in the Devices section of the Finder. The above URL will take you to a web-based version of the BitShares wallet configured to work with our Stake Weighted Voting app. You’ll need to export your keys from your existing BitShares wallet and import them into this new wallet. Once this step has been completed, the Stake Weighted Voting app should sync with the blockchain and load all of the contests that have been created to date. Once you’ve reached this point, you should be able to vote on any of the existing contests or create a contest of your own. Please keep in mind, however, that when contests are created, the creator must choose an asset on the BitShares blockchain for which to weight votes cast in that contest. This means that in order to vote in a contest, you must hold the asset the contest pertains to in your BitShares wallet. Otherwise you won’t be able to vote in that contest. As a final note, we wanted to you know that we’ve created a demo video of our blockchain voting software so that you can see it in action. Enjoy! About the author: Adam Ernest is the CEO of Follow My Vote. What is the current status of blockchain voting? I am a candidate for the city council in my city and I’d like to be talking about voting and blockchain applications for doing so during my campaign. Can you provide any up to date information for me? Have you conducted an election cycle of any size yet? My city has about 23,000 voters and could be a great place for a live run this year if the technology is ready. Please let me know what’s going on now in the field. Hi Stan, Thanks for your comment. Currently in the US, each state has their own voting system requirements. A blockchain type system would have to be approved by the secretary of state, in each state. It is posible to run a second blockchain second voting campaign in a city? I know each state has their own voting system requirements but this second blockchain second voting can give people the option to compare elections. Like mediator or something like that.